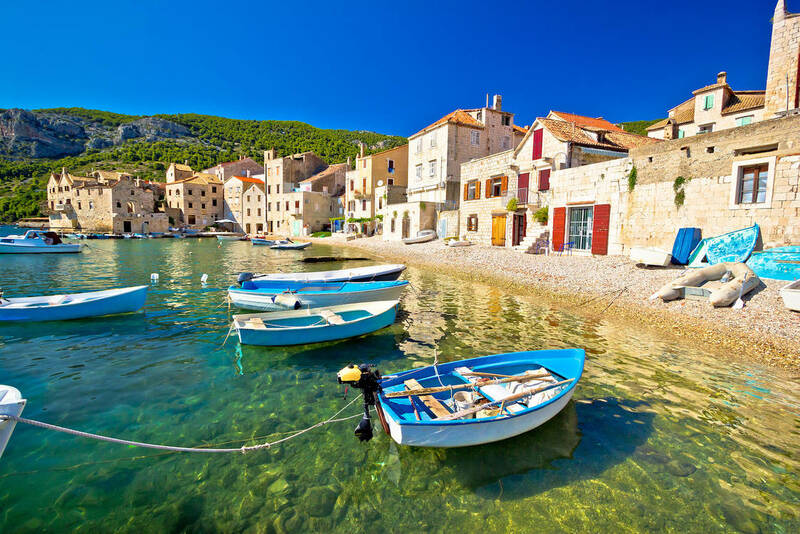 A trip to the Mediterranean is utterly opulent – even if it’s just in the sense that it’s a feast for the soul. You don’t have to spend big to have a good time, her best charms are free, bar a cocktail or three. 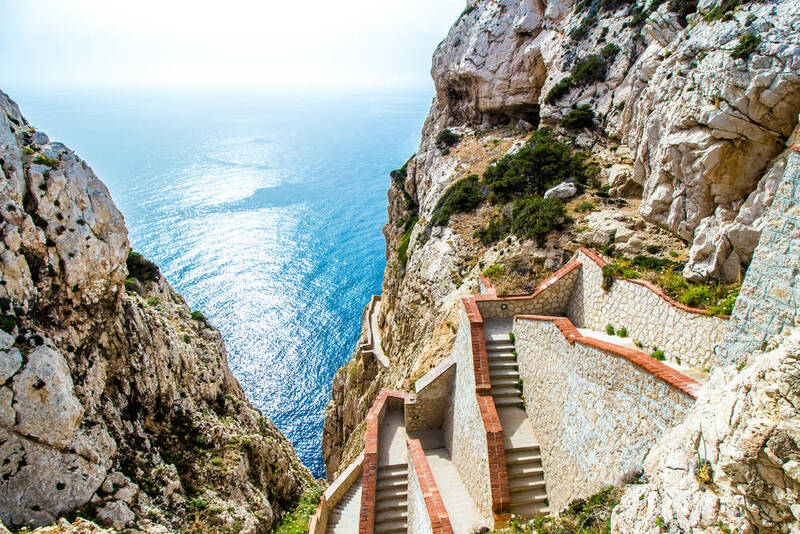 The Mediterranean’s distinct aesthetic of clear aqua waters against rocky cliffs, charming little towns seemingly left decades in the past and abundance of citrus, olives and oily fish lure travellers back time and time again. Pack your togs, a straw sun hat and your best beach towel, because it’s time to go island hopping. 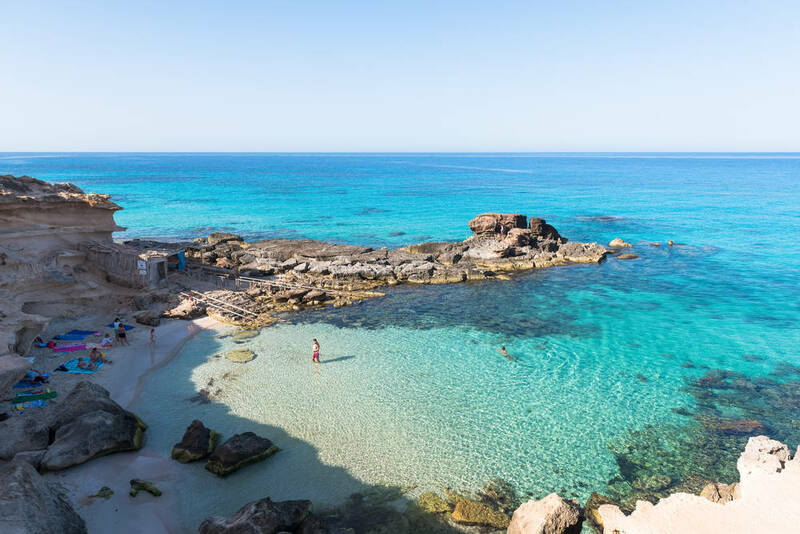 Forget the party island of Ibiza, its neighbour Formentera is wilder in the natural sense and less populated. The beaches on Formentera stretch for kilometres, so you’re not going to be in the pockets of other tourists. On the other hand, if you don’t mind sharing the beach with a few others, Calo des Mort is one of the most beautiful places to take a dip. Soak up the Spanish culture while you’re here with a feast of paella, the seafood in which the local fishermen will tell you is second to none. The best way to explore the island is by renting a scooter or bike and don’t worry about the traffic – there’s very little. People often say it was love at first sight the moment they spied Sardinia. While it’s a little pricier to visit than some of the other islands on the list, you won’t regret it. It’s a large Italian island with more than 2,000km of coastline of snow-white beaches below rugged cliff-faces with rainbow-painted villages sitting atop. The island is home to some very swanky hotels and five-star resorts, as well as boutique shopping galore. It’s a place where you can spend a day at a stunning beach and wander upon some Ancient Roman ruins on the way back to your hotel. After being used as a military base until the late eighties, Vis today is an island coming to grips with its immense tourism potential while remaining as it was in decades passed. It’s a little-known secret that Vis is the place to go for fresh lobster paired with great local wines, best enjoyed from a quiet little restaurant overlooking the azure waters and white stone that fringes the island. 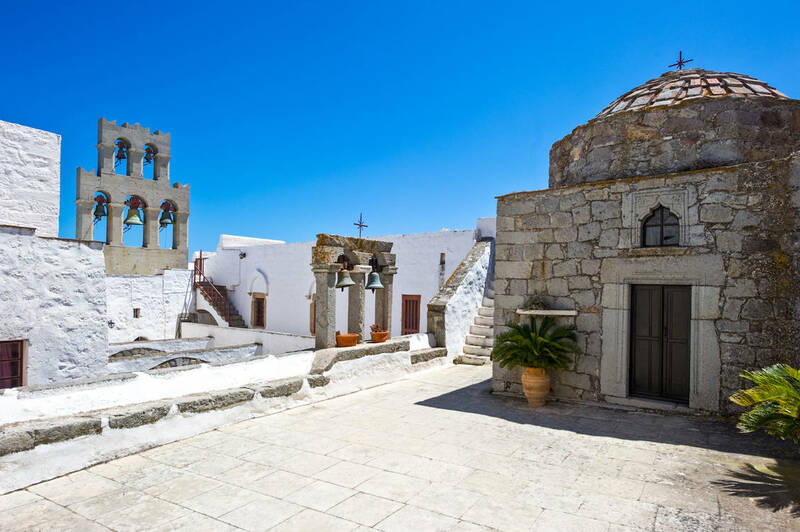 Patmos is a popular place for Christians to make pilgrimages as it’s famously where Saint John wrote the New Testament’s Book of Revelations. One of the island’s most special attractions of the Monastery of Saint John the Theologian, built in 1088 in a distinctly Byzantine style, appearing like a castle with a fortress. The Cave of the Apocalypse is here as well, where it’s said Saint John had the visions he recorded in the Book of Revelations. After you’ve soaked up one of the most holy places of Christianity, the beaches and food in Patmos aren’t bad, either. Tuck into the catch of the day at a local fish taverna and reflect on the history the island has seen, which you are now a part of. 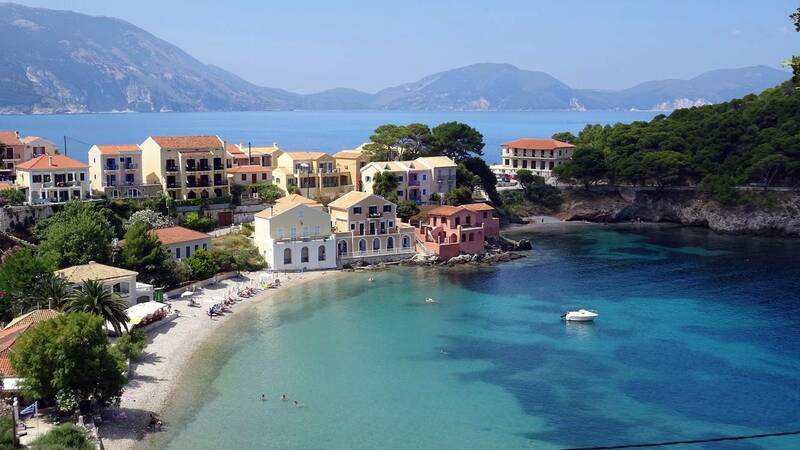 Although Kefalonia is popular as a family travel destination, the island’s impressive size means there’s plenty of space for everyone. As well as its gorgeous beaches, the island is home to some monstrous mountains, which make for a stunning backdrop. The real point of different for Kefalonia however is its caves. The Cave of Nymphs was rediscovered in 1951 where relics of former Minoan culture such as lamps, plates, deities and nymphs were discovered. Today, travellers can take a boat ride in the cave, which looks like a bright blue lake cut into the earth. Another of the island’s spectacular caves is the Drogarati Cave, its namesake being from a legend that said it was once the home of a dragon. The cave is full of limestone formations and was only uncovered 300 years ago when an earthquake revealed its entrance. 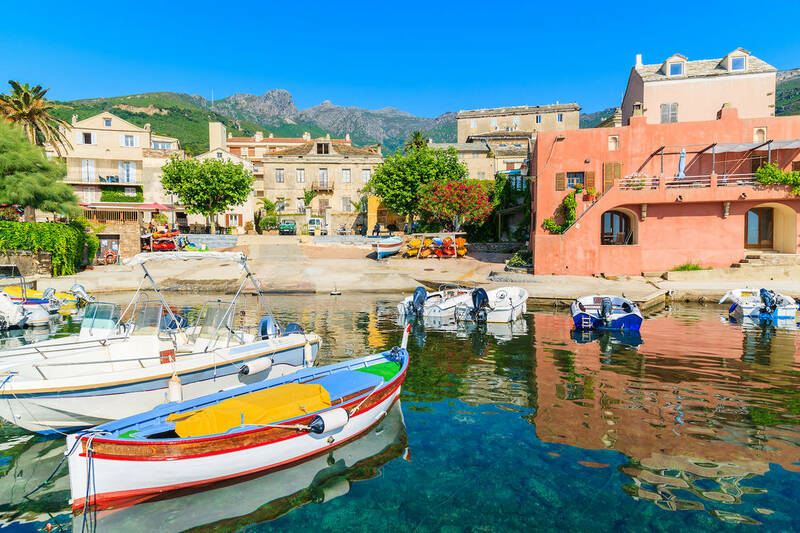 Corsica’s landscape is incredibly varied – it’s somewhere you can go to the beach, hike and stroll through a charming village all in the same day. Although it’s an island of France, life in Corsica is a world away. One experience that cannot be missed is a performance by a Corsican singers, famous for their polyphonic hymns, perhaps enjoyed with a glass of wine. The cuisine of Corsica is distinct, heavily featuring fish accented with oregano, marjoram and mint, and brocciu cheese made with sheep’s milk.